Hello from sunny Florida! I wanted to bring some homemade snacks with us for the plane ride and the week (although we are going through them fast!) 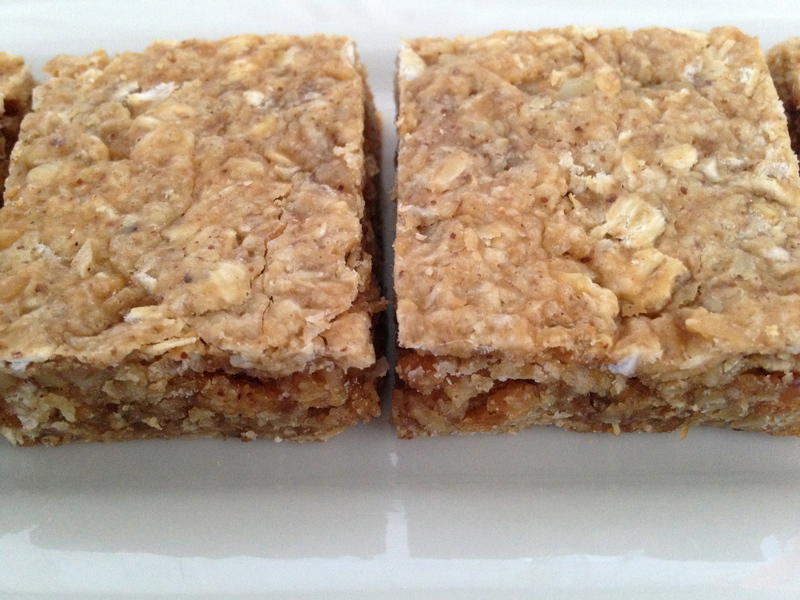 Inspired by a recipe from Isa Does It!, I decided to turn my adaptation of my friend Barbara’s truffles into these portable granola bars. Wrap these beauties individually and you have a yummy treat on hand! Place the oats, cereal and coconut in a bowl. Place the walnuts into the food processor and process until ground up. Add to the oat mixture. Place the peanut butter, almond butter, brown rice syrup (or coconut palm nectar), maple syrup and vanilla extract in a small saucepan and melt everything together just to the point that it is easy to stir. 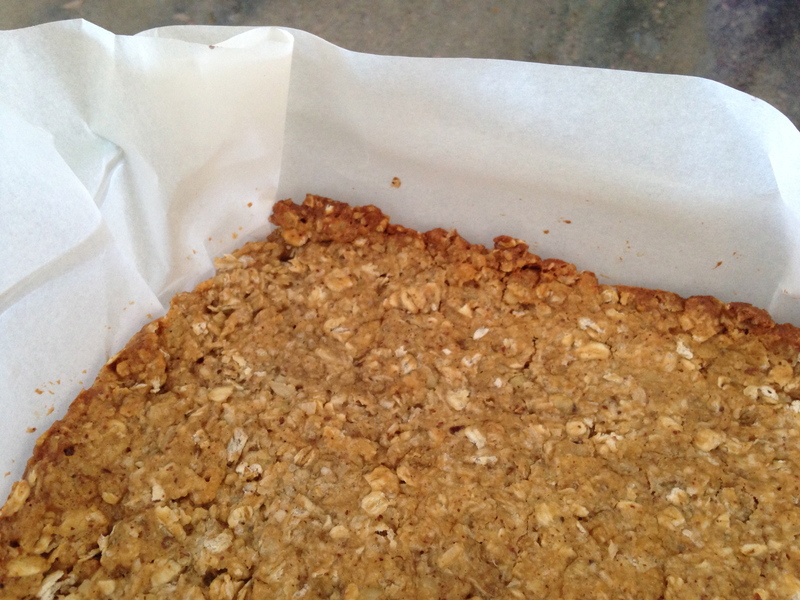 Pour the mixture over the oat mixture and mix until everything is coated and combined. The best way to bake these is to line an 8×8 pan with parchment paper. Turn out the truffle mixture into the pan and spread evenly to the ends. Bake in a 350 oven for 25 to 30 minutes, depending on your oven. They are done when they are just browning. Take out of the oven and let cool completely. Flip them out of the parchment and use a big knife to cut into small squares. Enjoy! The 12 Grapes of Luck: Happy New Year! Im so gonna make these.